Our total lightning network detected a large amount of total UK lightning during the early morning hours of 29 May 2017. According to our total lightning data, there was a very strong system moving up the English Channel. In a two hour period, we detected 8,686 total lightning strikes moving through the English Channel. The video above shows our total lightning detection as the storm moved through the English Channel. The purple lightning strikes represent flashes of in-cloud lightning. The yellow lightning strikes represent flashes of cloud-to-ground lightning. Notice how there are more purple strikes than yellow strikes. 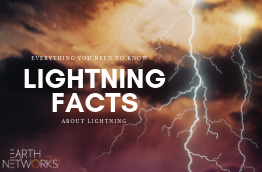 Although you can’t always see them and they don’t make the news as much as their deadly cloud-to-ground partners, in-cloud lightning strikes are actually more common. They’re very important when it comes to predicting severe weather as well. 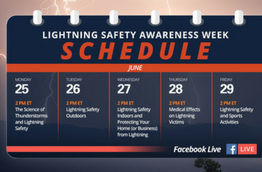 In-cloud lightning is often a dangerous precursor to dangerous weather conditions like cloud-to-ground lightning, hail, and microbursts. We use both in-cloud and cloud-to-ground detection (total lightning detection) to power our Dangerous Thunderstorm Alerts (DTAs). These alerts are up to 50% faster than other severe weather alerts and provide a ton of useful information. 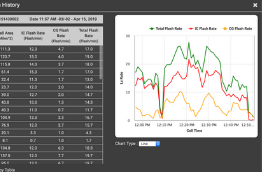 The video below shows 14 DTAs during the storm in just 3 hours. The last three DTAs lined up perfectly with local weather watcher and amateur meteorologist, Shantelle Robison. As a storm moved northward towards Clacton-on-Sea, Shantelle Robinson captured videos of the storm’s lightning. The video below shows a spectacular display of both cloud-to-ground and in-cloud lightning strikes. The slow motion display shows in-cloud lightning moving from left to right across the screen. Then a cloud-to-ground bolt strikes the ground. Shantelle Robinson is currently finishing up her studies at the University of Southampton. There, she is studying BSc Physical Geography. After completing this degree, Ms. Robinson plans to get her MSc in Applied Meteorology and Climatology so she can accomplish her dream of becoming a meteorologist. You can keep up with Ms. Robinson and her reports of Clacton-on-Sea’s weather on her YouTube channel. We always get excited when we hear about aspiring meteorologists, so good luck with your studies, Shantelle! Earth Networks Total Lightning Network (ENTLN) is a first-of-its-kind lightning detection system with over 1,200 global sensors. 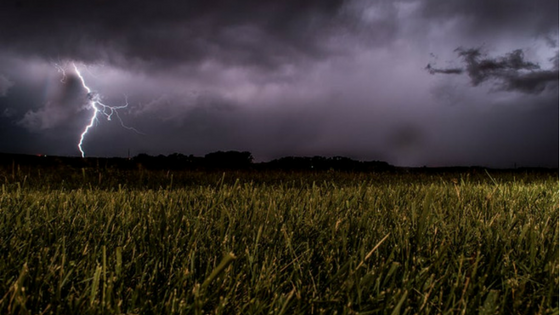 Using the power of this robust, real-time network, we’re able to offer a wide variety of severe weather tracking tools to help organizations mitigate all of the financial, operational, and human risks related to severe weather. You can learn more about the latest way to receive DTAs and other critical weather data with our new lightning strike detection and mapping system, Sferic Maps.